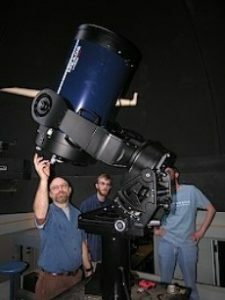 The UCA Observatory will be open from 7 pm to 9 pm on Wednesday 3/14/18 for the public to view the night sky through the 14-inch aperture telescope. Stairs to the observatory are located in the front lobby of Lewis Science Center. Please click on Observatory website for details.